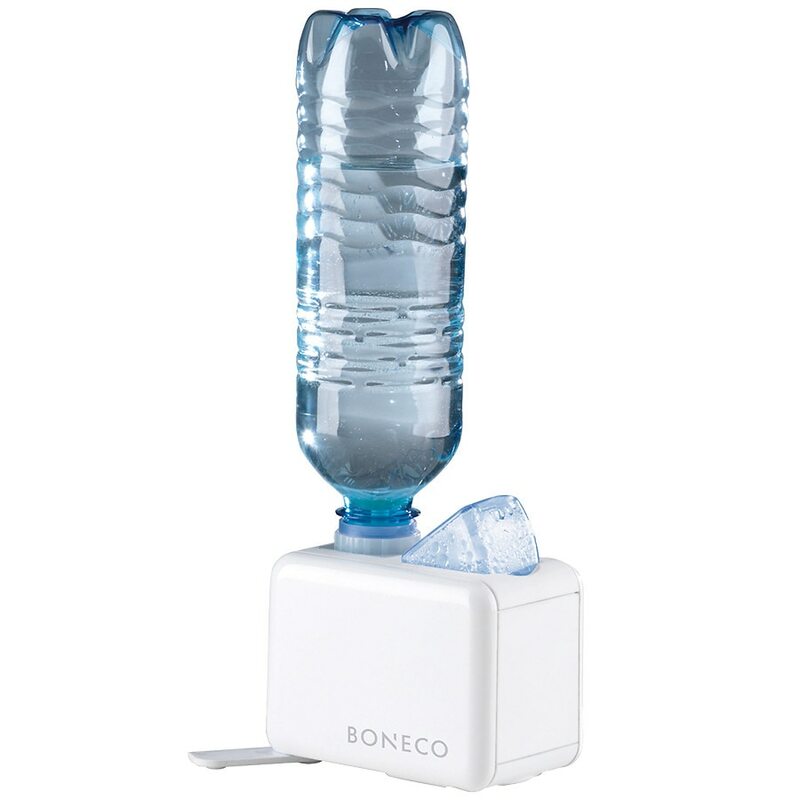 BONECO-Air-O-Swiss Travel Ultrasonic Humidifier1.0 ea. Now you can take BONECO/AIR-O-SWISS quality with you wherever you go and enjoy healthy air anywhere! The Travel Ultrasonic AOS 7146 is compact enough to fit into your travel bag. Just add your own water bottle, plug the unit in and enjoy clean, moist air in your room. With the AOS 7146 you can ensure room humidity is just the way you like it. Efficient ultrasonic technology uses high-frequency vibrations to generate a micro-fine cool mist, which is blown into the room where it immediately evaporates.